If you are like me and are unable to be in Salt Lake City this week for RootsTech, then you may like to watch some of the sessions LIVE on the internet. Here is the schedule of sessions that will be streamed live on the home page of RootsTech.org. After the conference, recordings of these sessions will be posted on the website for a limited time. You've Mastered the Census and Basic Search, What Next? The stream will automatically refresh at the beginning of each session. If it does not, you will need to refresh the page manually by clicking the Refresh button on your browser. The board of directors of the National Institute on Genealogical Research (NIGR) is pleased to announce the appointment of Malissa Ruffner, J.D., CGSM as director of the institute, effective immediately. She will assume responsibility for future programs, the next to be held in July 2016. The National Archives has expressed strong support for the continuation of NIGR and will work with the new director to assure the institute’s success in future years. Malissa, a resident of Baltimore, Maryland, earned a Bachelor of Arts from Goucher College and a law degree and a Master of Library Science degree, both from the University of Maryland. In addition to genealogy, she has worked as a lawyer, and in schools, libraries and archives. Her genealogical pursuits include client work, writing and blogging, lecturing, and participation in conferences and institutes, including NIGR, the Salt Lake Institute of Genealogy, the Institute of Genealogy and Historical Research at Samford University, the Genealogical Research Institute at Pittsburgh, Forensic Genealogy Institute, ProGen Study Program, and “Come Home to New England” at the New England Historic Genealogical Society. Malissa currently serves on the Maryland Genealogical Society Board of Directors and on the Intellectual Property Committee of the Board for Certification of Genealogy. Note: In view of the recent death of NIGR’s former director, Patricia Shawker, the July 2015 institute has been postponed for one year. Additional information will be forthcoming. I am excited to be a part of the Mid-Atlantic Germanic Society (MAGS) Spring Workshop this year. We will spend three hours discussing how to create an effective research plan, and then have time for hands-on practice where participants create a research plan for an ancestor they are working on. The planning method taught will include thinking through the research problem, creating a profile of your ancestor, analyzing documents collected, identifying resources available for the time and place, and creating a written plan to guide your research. I hope to see some of my local reader there! 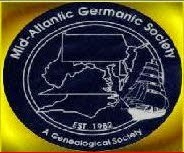 The Mid-Atlantic Germanic Society (MAGS) will host a workshop and meeting on Friday and Saturday, March 20th and 21st, 2015. Angela Packer McGhie will be leading participants in a “Creating an Effective Research Plan Workshop.” It will be held at the Holiday Inn – Laurel West on Friday, March 20th from 1:00 PM to 4:00 PM. Efficient research takes planning and this workshop will highlight a process for focusing your research objectives and identifying sources most likely to answer your research question. The cost prior to March 10th is $35 for members and $40 for non-members. After March 10th the price increases by $5 for both categories. For registration, see http://www.magsgen.com. On Saturday, March 21st, MAGS is hosting their Spring Meeting, entitled “Bringing Your Family’s World to Life.” Rebecca Whitman Koford, CG, will be presenting four lectures designed to help you uncover your ancestors’ lives. Topics include cemetery and funeral home research, newspaper research, researching female ancestors and writing the family narrative. The meeting will be held at the Holiday Inn – Laurel West. The cost prior to March 10th is $45 for members and $50 for non-members. After March 10th, the price increases by $5 for both categories. For additional details on the topics and to register, seehttp://www.magsgen.com. Seats are limited, so register now for this two-day genealogical event! The Minnesota Genealogical Society has a great lineup of webinars for 2015! These are FREE and begin at 7:00pm on the dates listed below. For more information, or to register, visit the Minnesota Genealogical Society website at http://mngs.org/ . The press release below is shared courtesy of GeneaPress. February 4th – Genealogy Do-Over™: A Year of Learning from Research Mistakes – Thomas MacEntee. It isn’t often that we get a “do-over” when it comes to stuff that matters in life. When you first got started researching your family history, did you do some things that now are just plain “embarrassing” such as name collecting, not citing sources and more? Well, now there’s hope since genealogists from beginner to advanced are employing new research methodologies and documentation practices. Follow genealogist Thomas MacEntee as he basically starts his genealogy research from scratch but includes sound research practices and methodologies as well as new templates, tools and the latest technology to create a better body of family history research. March 4th – Midwestern & Plains State Level Census Records – Paula Stuart-Warren. Many Midwestern and Plains states have superb state census records. Learn about the indexes, the many personal details these censuses include, locating the censuses, and alternate sources. The lecture includes many specific examples from these enumerations, provides an overview of state censuses for Illinois, Indiana, Iowa, Kansas, Michigan, Minnesota, Missouri, North Dakota, Ohio, South Dakota, and Wisconsin, and indicates where they may be found. The personal details vary but may include names of children, maiden names, military service, religious denomination, mother of how many children, occupation, value of real estate, and other helpful details. April 1st – Find Your American Ancestor Using Canadian Records – Kathryn Lake Hogan. When you can't find your ancestor's birth, marriage or death registration, or their name on a ship list or immigration record at Ellis Island, then it's time to consider your ancestor may have been in Canada. Whether your ancestor was here for a day or for many years, he/she left behind records. When you hit a brick wall in your research, it's time to consider Canada. Even if you think your American or immigrant ancestors were never in Canada, discover eight reasons why they actually may have been there. Learn how and where to find the Canadian or provincial records that will help you fill in the missing pieces of your ancestors' lives. May 6th – Researching Your Swedish Ancestry in the 21st Century – Ginny Sharp Sommarstrom. Researching your Swedish-American ancestors has become much easier in the last ten years, thanks to the availability of numerous Swedish and American resources in digital format, all accessible from the comforts of your home. This presentation will provide a framework for tracing Swedish- American ancestry that is based on four essential questions that must be answered. Resources for answering those questions are illustrated and discussed. With answers to those four questions in hand, we will delve into U.S. immigration, Swedish emigration, and Swedish church records. Clear step-by-step examples will help the listener find their own ancestors in these records. June 3rd – Genealogy and GIS: A Beginner’s How-To – Jennifer Alford. When you dig into genealogy, a repeated lesson is to know your location. We’ll uncover how using GIS can connect geospatial history with your family history research. In this session, we’ll cover the exciting historical geospatial information that is now available for use in Google Earth and the many other tools available online. I’ll present the many options and databases that could be an invaluable tool in your research. We’ll discuss the importance of historical context and the kinds of data that can be used to further your genealogical research. August 5th – A Guided Tour to Cyndi’s List 2.0 – Cyndi Ingle. This begins with a brief history of Cyndi's List, followed by an overview of how to navigate the site and how to tell when the site is updated. Learn how to effectively use this valuable resource tool as your jumping-off point onto the Internet. September 2nd – Genealogical Research Using Facebook’s 4,000+ Genealogical Pages & Groups – Katherine R. Willson. Facebook is quickly becoming a favorite resource among genealogical researchers for its vast networking capabilities. With many thousands of regional and surname-specific genealogy groups, researchers are discovering relatives, sharing photos, finding obituaries and breaking down brick walls that have blocked them for years - often within 24 hours of posting a query! This presentation introduces members to Facebook as a genealogical research tool and guides them through the process of efficiently utilizing Facebook for specific genealogical needs. Participants are also given the link to the 120-page PDF file listing 4,000+ genealogical pages & groups on Facebook. October 7th – Engaging the Next Generation – Shannon Combs-Bennett. The youth are our future is stated many times through different organizations. Genealogy is no different. Today there are children and young adults you know who want to learn more. Most people, however, do not know how to do it. In this presentation, I will go through ways to engage, interact, and teach the youth in your life about family history. Not all of them may grow up to be professionals but through education they will develop an appreciation for what their ancestors did and where research can take them. November 4th – Research Logs and Plans for Every Genealogist – Lisa Alzo. Whether you’re a beginner, or an experienced genealogist, learn how create and maintain research plans and logs to maximize your research time and increase success. Through examples, you will discover how simple it is to develop easy-to-use research plans and logs you can access no matter where you are. Session will demonstrate key steps such as deciding on a format (Excel spreadsheet, Google Drive, or Evernote), creating the columns you'll need, designing the document, entering information, and using and maintaining the database. December 2nd – Passenger Lists: A Boat-Load of Records, 1565–1954 – Valerie Eichler Lair. There truly is a “boat-load” of records on passenger lists! Learn what you need to know before searching, how to find these valuable records and available resources, and really cool information you’ll get about the ancestors who took the journey across the “Big Pond.” In addition to researching for passenger lists, we’ll cover a bit about immigration records. All webinars are held at 7:00 pm Central. Visit the Minnesota Genealogical Society website at http://mngs.org/ for more information.